We’re still not eating much chicken around here. I’ve decided that’s a good/bad thing. Bad: because sometimes I just want to throw something together, and I know about a million ways to prepare and flavor chicken. But some people in my house (i.e. Nick) have declared that chicken consumption needs to be drastically reduced. Good: because it’s making me think outside of the chicken box and stretch my culinary muscles. I’ve had to be creative out of necessity, and we’ve had some pretty outstanding meals as a result. We had one of those rare weeks when the kid was staying with his grandparents (I wish everyone had spring break), and we were left to cook for just the two of us. Fortunately, we have a seriously adventurous eater on our hands, so our meals don’t change much when our son isn’t around. The only difference is portion sizes. It’s way easier to cook two of something than two and a half somethings. This is a great meal to cook for two. 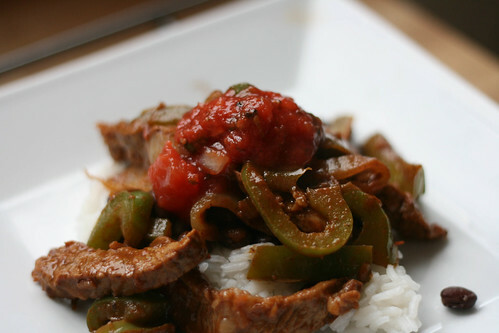 It’s so easy, but so full of flavor! Also, I love when other people do the work, and I’m free to snap photos with wild abandon. The longer you let this marinate, the better it’s going to taste. We let this marinate for about 8 hours, and oh mama! The other thing that sometimes happens when the children are away for any length of time is that you learn things about your spouse. Life changing things. Like how, maybe, your spouse doesn’t like tortillas. So every time you made tacos, burritos or fajitas in the past and he made the “Meh” face, it wasn’t you. It was the tortillas. Luckily, there’s a very easy solution. You just leave out the tortilla. Know what else happens when the children are away, and it’s just the two of you and you’re free to do whatever you want? 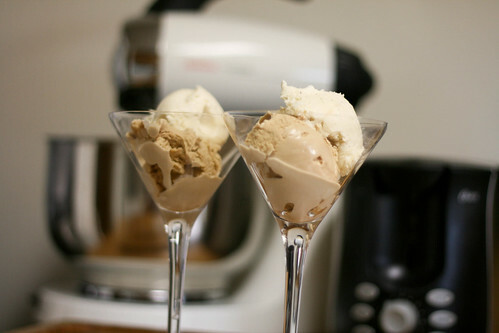 Ice cream in a martini glass! Wait, what were you thinking? 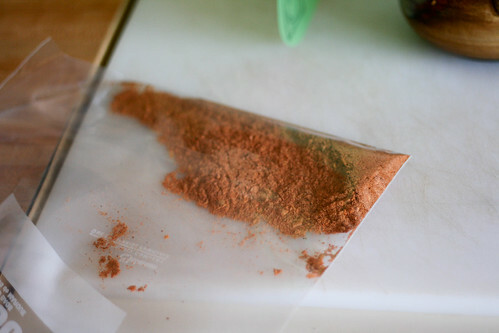 Combine the taco seasoning and water in a ziplock bag or bowl. 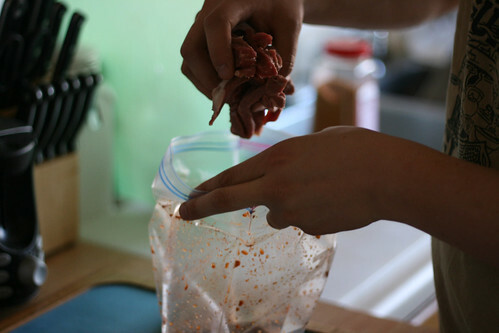 Shake or whisk to combine, then add the steak strips and toss to coat evenly. 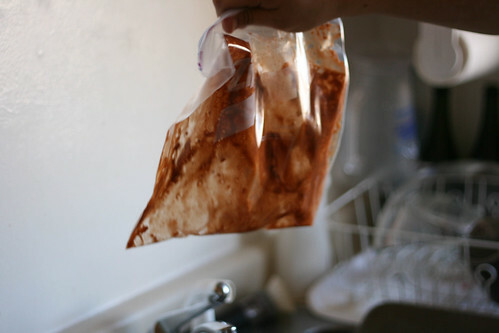 Marinate in the fridge for several hours or overnight, if possible. Start the rice (cook according to package directions). 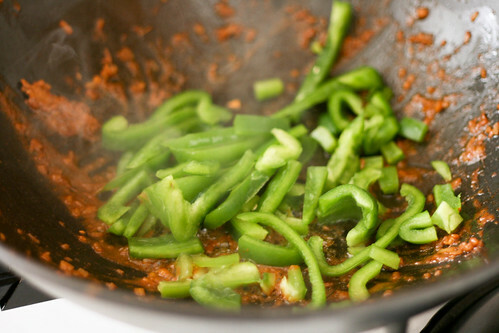 Heat a very small amount of oil in a skillet or wok. 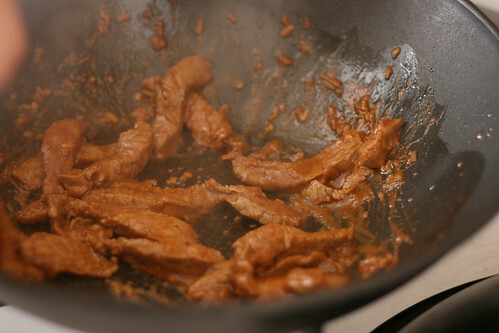 Add the meat, stirring occasionally to prevent burning. 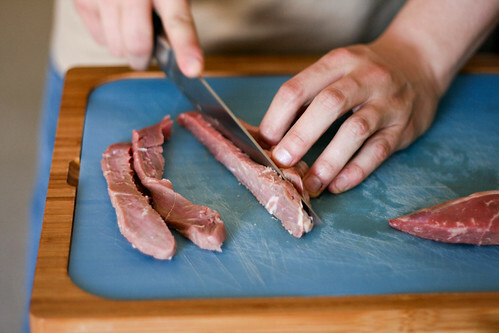 When the meat is just browned, remove it to a bowl and set it aside for now. 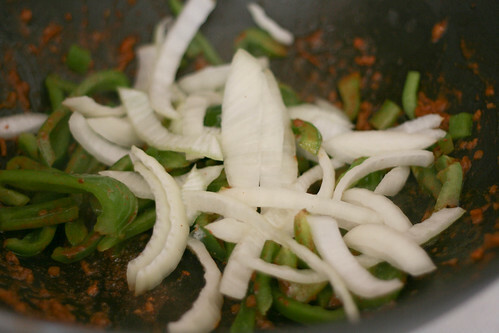 Toss the onion and pepper into the wok/skillet, and make sure to stir often. At this point, you can heat the beans if you’d like. 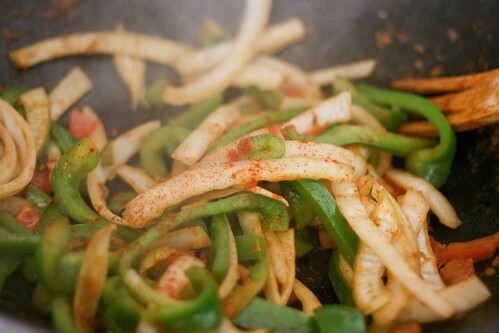 When the vegetables are still tender-crisp, add the cayenne and tomato. 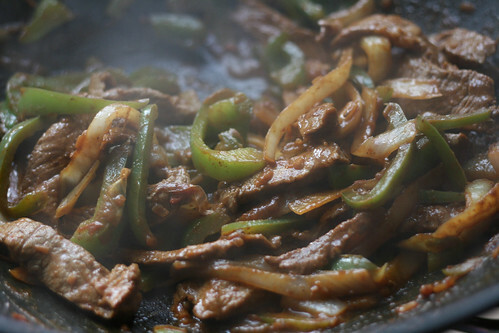 After stirring a few more times, add the steak and heat everything through. 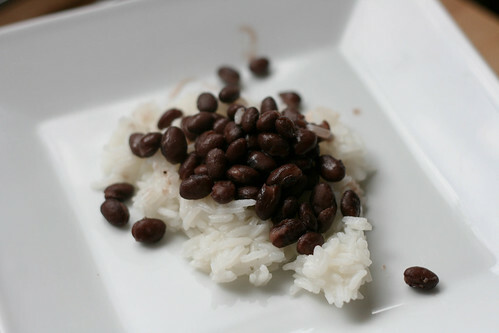 Serve on a bed of beans and rice, topped with salsa, sour cream, guacamole, or even plain yogurt. That first photo is so beautiful I sighed out loud. 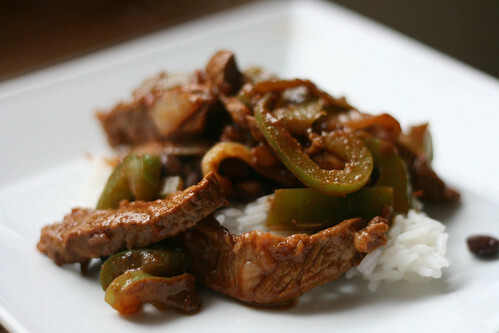 LOVE the flavors of this kind of meal!